Boditronics have updated their all ready popular lypodryl fat burner and as a result have unleashed a very potent yet reasonably priced metabolic enhancer onto the market. 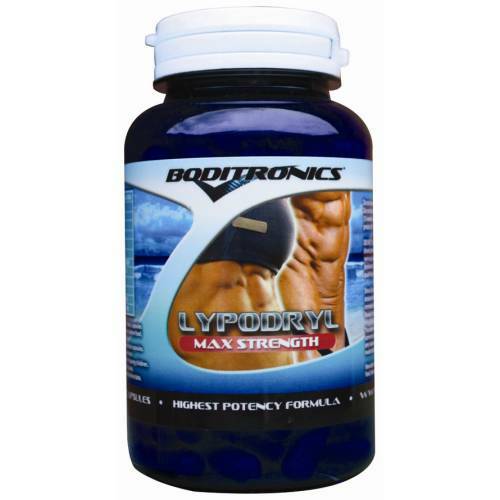 Lypodryl max strength can assist weight management goals particularly in reducing bodyfat levels quickly! Containing high amounts of phyto-nutrients, lypodryl max strength stimulates the body to utilise fat more efficiently. Amongst these phyto-nutrients are bitter orange, green tea and caffeine. All of which work synergistically to take your metabolism into overdrive as well as prevent the breakdown of your fat burning hormone norepinephrine. A very effective fat burning supplement, lypodryl max strength can greatly enhance your ability to attain your desired lean look.